A new report on the government’s efforts to shut down its costly and ungainly federal data centers reveals the government could cash in on the consolidation to the tune of $18 billion. The new report, “Federal Data Center Consolidation: Measure to Manage Report,” a joint project of government IT network group MeriTalk and cloud-computing firm NetApp, says the consolidations could save as much as $18.8 billion — which is more than what the Department of Homeland Security, Veterans Affairs, Health and Human Services Department and the Social Security Administration spend on IT in a given year. Consolidating the brick-and-mortar data centers has long been a goal of the administration’s top tech gurus, including federal Chief Information Officer Vivek Kundra. 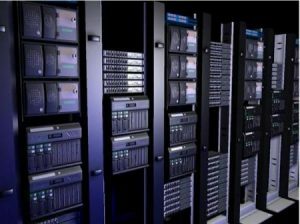 Just this week, the Office of Management and Budget released its list of the 137 data centers it would close this year and the 800 total such centers it plans to unplug by 2015. The administration expects savings of about $3 billion from the closures. But the new MeriTalk study finds the government could save much more. The biggest stumbling blocks, the report found, are that federal agencies lack consistent definitions, metrics, resources and budget opportunities to squeeze the full amount of savings out of the closures.